Last August I was lying in bed at the station. It was 3:00 A.M. I couldn’t sleep. I was worried. I knew I could not change into my gear fast enough. My leg was shrinking and I had a pretty good size blister on the bottom of my limb. I was wearing close to 15 ply’s and I was still loose in my socket. I had already padded the entire socket. I remembered my social worker from my Amputation had told me about an organization called 50 Legs. I didn’t know anything about them. I looked them up and saw the application for assistance. I wrote my story and sent some pictures. I spent the night tossing and turning. I never expected that I would get a response but it was worth a shot. Little did I know my life was about to change. About a month later I got a call from Tiffany the fundraising coordinator from 50 legs stating that I had been selected and Ronnie Dixon my new Prosthetist was going to call me. She said we only use one prosthetic company POA because we know they are the best. Tiffany told me the story of how 50 Legs was started. In 1997 Steve Chamberland lost his leg in a motorcycle accident in Massachusetts. Fast forward to 2011 Steve Chamberland and Jimmy Hart, aka Mouth of the South, were helping a friend open an Under Armour store in Georgia. Before traveling, someone told Steve about a little girl named Anaiah who had recently lost her leg saving her sister from an oncoming car. Anaiah and her family did not have the resources to afford a Prosthetic. Steve made a few phone calls and had a leg donated for her. Upon presenting the little girl with a leg Jimmy looked at Steve and said, “you have found your calling”. That day they decided they would donate 50 legs to 50 people in 50 days. Little did they know the amount of money it would take and that giving 50 legs in 50 days was virtually impossible. But Steve stayed committed and didn’t stop at 50 people. In 2015 they were able to help 53 amputees obtain prosthetics. 50 Legs is located just outside of Tampa FL and they have 3 board members as well as Steve, the founder, and Tiffany, the fundraising coordinator. Tiffany then stated she was going to have Ronnie Dixon call me. It was a few days later Ronnie called me. I was so excited I just began telling him my story. He listened and said, “this is what we are going to do”. He said 50 legs was going to fly me to Florida and build me two brand new legs. He also said we will do some climbing on our wall. 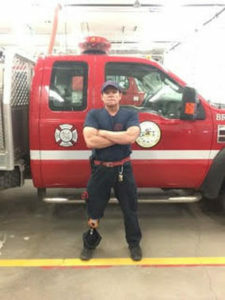 Ronnie is a Prosthetist with POA, an above the knee Amputee and world class climber. I was floored. I couldn’t believe what I was hearing. I was so worried it was a prank I had my wife call Tiffany. Tiffany assured my wife that this was legitimate. It took about a month before POA could see me. My prosthetic was causing more issues by the day. The time passed like I was a child again. I could not leave fast enough. In October the day finally arrived. 50 legs flew my wife and me to Florida and put me up in a very nice hotel that works with 50 legs. I was nervous. The next day, of course, I got lost and was panicked because I was late. I called POA and they gave me directions from my location. When I walked in I was floored by the facility. It was a giant room with a gym and 2 climbing walls. It was filled with Amputees. All of them were exchanging stories and I joined in. It was also great to see the family members mingle. Within minutes Ronnie came over and introduced himself. Ronnie is a prosthetist who is an above the knee Amputee and world class climber. I was cast for a custom liner, Tiffany showed up and Steve Chamberland was in the house. He was a very charismatic outgoing happy go lucky guy. He told me “we are going to take care of you. Don’t worry these guys are the best”. Steve invited me to a fundraising event in Tampa Bay. We were not going to miss that. The next day I was cast for a check socket and it was built that day. Ronnie was a pleasure as usual. The next day I went to the event, which was a strong man contest. I spent the day with some of the 50 legs family. My check socket was hurting a little and Steve reassured me not to worry. I had a wonderful day hanging with members of the 50 leg family. Tiffany and Steve made sure we felt like part of the family. The Tampa Bay event was Saturday and POA had advised me to come back Sunday. I went back to POA Sunday and Stan the owner met me at the door. He had come in on a Sunday just to help me. I was floored. They did some tweaking that I had never seen before. They used technology that was truly state of the art. Long story short I got 2 new legs one for every day and one for my fire gear. I was in Orlando ten days and every day Ronnie, Stan and the staff worked to make that leg perfect. I left amazed and humbled beyond words. Short staffed at work I worked a 72-hour shift. I was exhausted. I had worked back to back codes and sadly lost two patients. I had one day to rest. I told my wife I think I am too tired and my head is just not in the game. I went to bed at noon. I woke up for dinner and my wife said “you are going to do this climb. “I went back to bed skeptical. The next morning my wife woke me up at 3:00 A.M. My gear was packed and my clothes were laid out. I was going. At 7:00 A.M I drove up to Ames and met my partner Dan Chehayl the Ouray ice park manager. I told him it may take me a while to hike in. To my amazement, I hiked in quickly with my leg. We arrived at the climb and it was beyond intimidating. The ice was brittle and the conditions difficult. It took us 7 hours to climb the hose. It took us 13 hours car to car. It was the most difficult climb of my life but with an amazing prosthetic and 50 Legs help, I achieved my goal. As far as we know I am the first Amputee to climb the hose. Back at work 9 days later I had already worked another 72. I wrote a report and took a break to message Tiffany about the climb. She asked me if I could write about my experience and I humbly accepted. On my third 72 in two weeks, I had climbed the hose, worked 136 hours and rode my fastest time at our local mountain biking trail. The trail is a world class biking trail called Phil’s world. After a long day, I settled in waiting for tones to drop and started writing. The story was simple. 50 legs and POA had not only built my legs, they had given me my life back. They kept me working and I truly had conquered dreams I never expected. Another thing they were right about was POA being the best. Thank you, Steve and Tiffany, for making my dreams come true. I can’t say enough great things about 50 legs. I can say that I would never have accomplished so much without the help of this great non-profit. This group has helped a lot of people especially kids. Steve is Amazing with kids. You would have to see it to believe it. I am just humbled beyond words to be part of the 50 legs family.